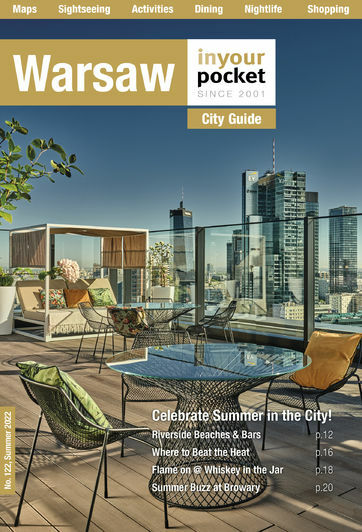 If you’re considering investing in property in Warsaw and are looking for something luxuriously extravagant, then an apartment in the Helmut Jahn designed Cosmopolitan building may be right up your street. Situated on the edge of smart Plac Grzybowski, this 44 storey and 160m high masterpiece is one of the city’s coolest modern landmarks. The 236 apartments range from 54 - 160 sq m and all come fitted out to the highest standards. The ground floor is home to some top class eateries and shops, levels 1 to 3 are given over to commercial /office space and the residential levels reach skywards from level 5. The building even has its own gallery and cultural centre on the 42nd floor.